When you want to promote the brand or reestablish the identity or an effective brand recall; effectiveness of the medium used makes a significant difference. For better results, you need new and innovative ideas from a dynamic marketing agency. Vritti iMedia, a leading digital marketing company, fulfills all the requirements mentioned above by introducing out-of-the-box ideas. Audiowala Bus Stand; a unique and highly effective mass medium which is different from the contemporary products. It makes possible to build a brand or promote a product in a cost-effective manner. Use of vernaculars touches the heart of the rural population. What is Audiowala Bus Stand? It is a revolutionary idea of using the bus announcement system for brand promotion and creating awareness. Bus stand, the second-most crowded place in India where thousands of people come and depart, is the ideal place for marketing. Studies say that the average stay of a passenger is 30 minutes. Hence, the probability of a person listening or viewing the promotion is quite high. The advertisement is audible in the 100 meters periphery which is sufficient. It is an impactful audio-visual and only audio medium that covers 7 states in India including Maharashtra, Goa, Punjab, Karnataka, and Rajasthan. The locations are planned so strategically that it covers places of economic importance, significant talukas, famous pilgrimages and holiday destinations. What makes it so much effective? Audiowala Bus Stand concept has done remarkably good in creating brand awareness. The list of companies that have benefited by it runs through several pages. The clientele is spread across various industries including agro products, health care, pharmaceutical, professionals, FMCG, and electronics. Since the audience belongs to different strata such as farmers, students, professionals, senior citizens, and homemakers; the outcome of using Audiowala Bus Stand is awesome. How does it help brands? It is possible to create brand awareness and promotion in highly effective manner by using Audiowala Bus Stand. The most significant benefit is that this medium has effective penetration in the small towns and rural areas that otherwise are difficult to reach. Experts say that the use and applicability of Audiowala Bus Stand are universal. No wonder, it gains the popularity with every passing day. The usefulness of Audiowala Bus Stand is not limited to brand promotion only, but activation as well. Thus, it is a one-stop solution! BTL activation or Below The Line activation is a cost-effective and proficient way of interacting with a target audience or a particular gathering. What makes it special? Basically; btl activation ideas use strategies that are not routine ones. Moreover, they help in establishing a direct engagement with the customers for a short duration.Examples of BTL activation are a product launch, brand activation, dealer meets, sales promotion, mall promotion, etc. Experts say that since it gives a chance to touch and feel the product or service, the engagement is more. The more innovative you make it, the better the results are. How to make it impressive so that you reap big business benefits? Here are five ways. #1 As usual, set the objectives first! To make the brand activation successful, spend adequate time in thinking about it. You should be clear about the business objectives first. More importantly, brief it to everyone involved in the activation project. Since it takes typically three to six months for a brand activation project to get over (which a fleeting time), you dont have any room for making a mistake. If it is Rural BTL Activation project, then you need to spend more time in setting the work preferences and protocols as there is a feeble chance of rubbing the things. The btl activation agency you pick for the brand activation project may be very helpful in building insights about your customer group. Put a filter on the wide customer segment so that you concentrate on high-quality influencers. Make use of smart, analytical tools for it. Yes, uniqueness is the crux of brand activation. You should outshine from the clutter in the market. Then only you will create a mark in the customers mind. Find out the weaknesses of your competitors and try to introduce differentiation in the campaign. When you need a spanner, you need a spanner. Identify who can deliver the best in this campaign? Find out the finest ways of delivering the message. What does it mean? It means, the brand activation campaign should attract the customers at the emotional level, and that also at the right time and place. As you use different touchpoints simultaneously, the impact is long-lasting. These are the five secrets of having a successful brand activation program. In the era of technology, it is impossible that you do not use it in any aspect of your business. Yes, today entrepreneurs explore it for enhancing btl activation ideas. 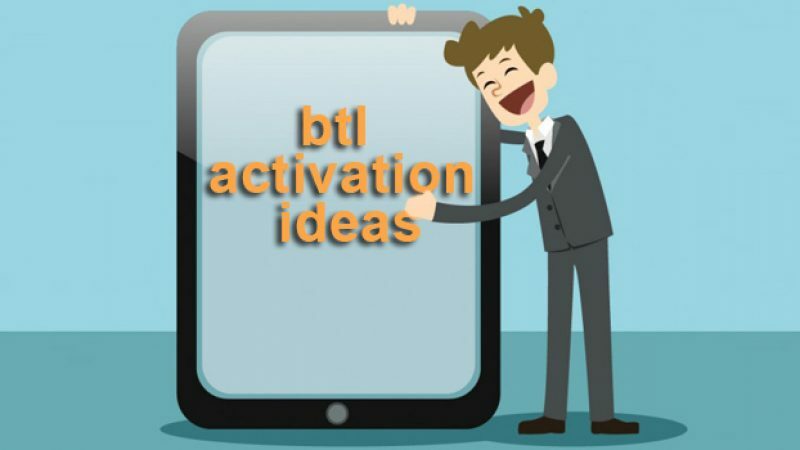 If there is some BTL activation campaign is going on, then you give Wi-Fi connectivity so that people can connect and access to the product and service interface. It gives a brand experience to them. Now you can actually track the devices that are within the range and access the details of how much time the device is active. Thus, you can get an accurate analysis of how much time people were engaged and what was their engagement level. Such information can give a valuable idea to the btl activation agency about the customer psyche. This technology is quite common nowadays in the modern brand activation campaigns. However, it is very much possible to extend it up to the Rural BTL Activation. Using these radio frequency based chips, marketing managers can do creative things using the movement and proximity. It is also possible to do the tracking of the customers or visitors. The devices can be used as device to control some visual component. It can be used for access control and access permission. Dont think that the use of technology will be a tough thing to handle. With the increasing awareness and education level, nothing is out-of-reach of the rural consumers. Yes, how can you forget the amazing power of apps when planning BTL activation campaign? It is possible nowadays to build beautiful things using the custom-made software programs. Btl activation agencies in Mumbai add magic to your ideas by giving some visual experience to the consumers or a brilliant game, or just a social media contest. All these things will make the BTL activation lively and interesting. And that is what you expect from the event. To add spice to it, you can try giving them some virtual reality experience or interactive games as well. If the games are somehow linked to your product or service, then the direct connection gets established in mind. This is how modern technology is changing the way BTL activation for the rural customers. In the world of marketing, the term BTL Activation is uttered quite often. Ever tried to understand what it is? Well, the word BTL is the abbreviation of Below the Line. It determines the task of having more one-to-one, direct connection with the customer. It also includes activities such as the distribution of handbills or pamphlets, arranging brand promotions, organizing road shows and making placards. Another important aspect of BTL activation is to arrange product demos and samplings in the crowded places like malls, roads, and residential areas. BTL activation ideas are equally successful in the rural as well as urban areas. Hiring an expert agency such as Vritti-iMedia would bring excellent results. 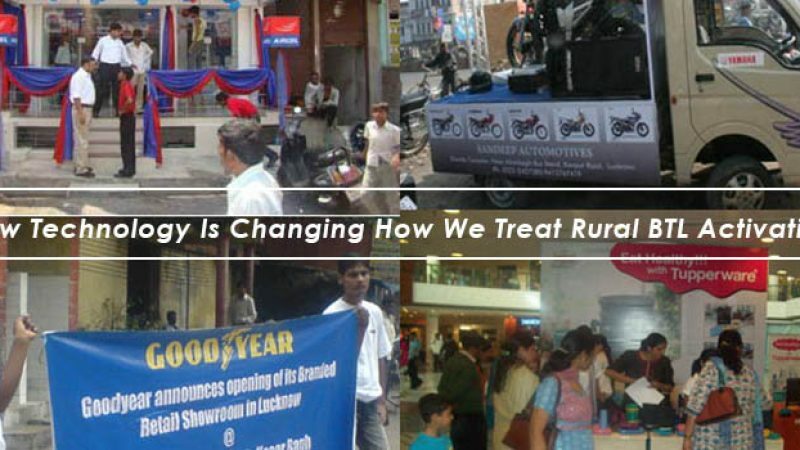 Though there has been a tremendous change in the rural marketing strategy today as compared to a few decades back. When the budget is an inhibiting factor, and you want to have a consumer connect, no marketing strategy is superior to the Rural BTL Activation. Better ROI and wider brand publicity are guaranteed outcomes. BTL activation is not a new term today. There are several client marketing agencies that offer effective and result-oriented campaigns. Why do you need brand activation? The very purpose of brand activation is to make the brand well-known and preferred by customers. When the brand creates interest and allows consumers to take a feel of it by experience, consumers have a long-lasting impression in their mind. Btl advertising agencies in India conveys brand benefits and achieves brand positioning. Thus, the potential customer becomes a customer, and the customer turns into a loyal advocate. The success of BTL activation can be measured by the increased level of brand awareness and the rising sales graph. Why do you need a BTL activation agency? You need an experienced btl activation agency to conduct BTL activation because it knows the tricks and knacks of it. Btl activation agencies in Mumbai also makes use of PR and sales promotion and direct mail promotion campaign to establish the brand. In the modern era of the Internet, it uses telemarketing, email campaign and target marketing to potential clients. The biggest benefit of BTL activation is the personal interaction with the customer which is the biggest strength of it.